Hop from eatery to eatery while digging your spoon into some seafood-blissful stews. 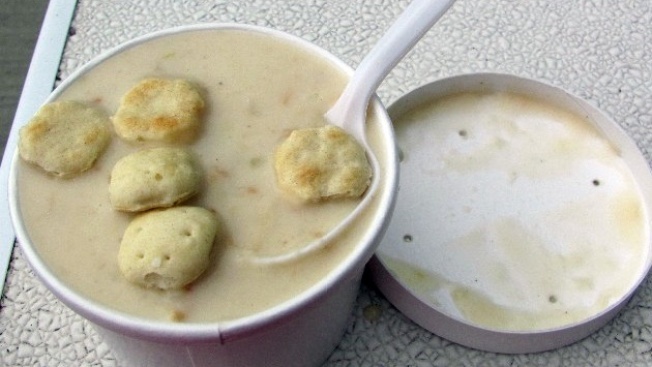 CHOWDER DAY IN BODEGA BAY, you also want to remember that there will be more chowders to try. Oof, right? But that's a good "oof," the kind of oof that arrives when we're faced with several yummy things to try. The date for Chowder Day is Saturday, Jan. 27, the beautiful location is in the name of the party, and tickets are on sale (they're twelve bucks a pop, and there are two tasting windows, one in the late morning and another in the early afternoon). As for the spots whipping up the steamy, seafood-deep bowls of slurp-'em deliciousness? The Birds Cafe, Fisherman's Cove, Spud Point Crab Company, and a bouquet of others are on the appetite-stoking list. You can vote on your favorite, but keep in mind that "YOU DO NOT HAVE TO TASTE ALL THE CHOWDERS TO VOTE!!!" Oh yeah, that is helpful, but, honestly, if you're there, you may probably definitely taste your way through the whole roster, should you have the time and inclination. "TICKETS SELLING FAST"... is the word on the site, so begin here. And begin to ponder how quickly you can consume a perfect chowder, should you want to move on to the next perfect chowder as expeditiously as possible.